Described as “energetic, lively, and ready to work,” the Hungarian Pumi has just become the 190th breed recognized by the American Kennel Club. It’s been a long road for the Pumi to get to this point—a showcase for how hard it is for dogs to enter into this exclusive club. Pumis may be headed to the Westminster Kennel Club, but this furry quadruped has been around for over 1,200 years. These medium-sized dogs were originally bred in Hungary around 800 AD to herd sheep. Pumis are often referred to as “herding terriers,” but they’re actually descended from traditional sheep dogs. The terrier label is on account of their very terrier-like attributes, such as their face, quickness, alertness, and their lean, muscular body. As of July 1, the breed becomes eligible to compete in the Herding group of US dog show competitions. So why did it take so long for the American Kennel Club to recognize the breed? Much of it has to do with the AFK’s painfully convoluted and at times completely arbitrary admission criteria. A breed is considered “rare,” for example, if its population is small in the United States. In order for the AFK to even consider a breed as being legit, a breeding club must prove that there’s a “sufficient” US population with a minimum of 300 to 400 dogs with three-generation pedigrees and at least 100 households forming a national club devoted solely to the breed. What’s more, the club must prove that the dog is “truly national,” with a geographic distribution of “dogs and fanciers” in at least 20 states. In addition, clubs must provide accurate pedigrees and ownership records, while also showing that the breed has been “breeding true” for several generations, that is, having two dogs of the same breed consistently producing offspring that are recognizable as that breed. There is no official quota or timetable for adding new breeds, but dogs typically reside in the Miscellaneous class for one to three years. At the end of the first year, AKC contacts the national breed club for updates on the number of dogs and litters recorded, and the number of dogs who have entered events since being eligible to compete in the Miscellaneous Class. Finally, the club must have held match shows, local and national breed specialty shows, judges’ workshops, and breed seminars. Once all this criteria is met, the AKC board of directors then vote on the breed’s full recognition. Whew. 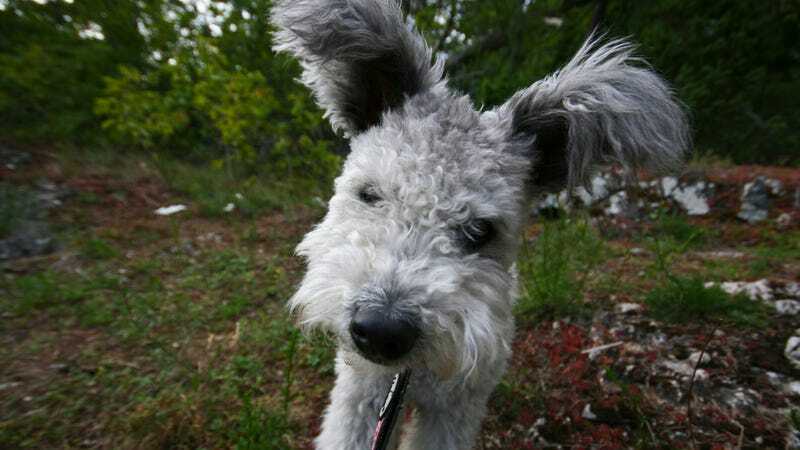 No wonder the announcement of the Pumi as an official breed is considered such a big deal. Of course, there’s also the ethics of dog breeding to consider. Many purebred dogs suffer from hip dysplasia and other symptoms of inbreeding. And as noted in an AP article, “Some animal-rights advocates say dog breeding is too appearance-focused and irresponsible when many mixed-breed animals need adoption.” Fair point.